Ex Ladies European Tour Pro joins the Professional Staff at PGC. I am delighted to announce the arrival of Lora Fairclough to the team. 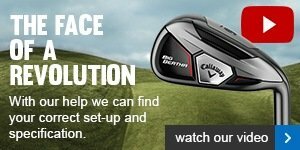 We have a fantastic team of professionals who are here to help you play better golf. Lora played on tour for 21 years which included victories and representing Europe in The Solhiem Cup. In her rookie LET season she won £9,000 and by 1993 had trebled the sum, thanks to her maiden victory in the IMB Open which earned her a place in the European team for the biennial Solheim Cup match against the United States the following year. Despite Mickey Walker's side losing 13-7 at West Virginia resort The Greenbrier, Lora won her foursomes and fourball matches with Dale Reid before succumbing to Kelly Robbins in the singles. "That was my most memorable experience," she said. "Playing for your country is a great honour." She had plenty of experience on that score through her amateur days, as a girl and full England International and representing Great Britain & Ireland in the Vagliano Trophy in 1990. She was also England Girl and Intermediate champion and won the Northern title twice and the English Schools' crown. But it was as a Lancashire player that Lora first made her mark, claiming the county championship on two occasions. "I owe a lot to the people who helped me in those early days," especially my coach Howard Bennett," she reflected. Back on tour, 1995 was her most successful season, winning the Ford Classic and European Masters and banked more than £81,000 as she achieved her best ranking of four. She also won the German Open in 1998, the Hassan Trophy twice and the Mauritius Open in 2006, in addition to earning 50 top ten finishes on the Ladies European Tour. I have already met the Lady Captain and some of the ladies this week which was great fun, and the President was extremely welcoming and I thank you all for that. As a way of introducing myself to the membership I will be to holding 2 two hour sessions on the 4/11/2014 2pm to 4pm and 11/11/2014 from 5 pm to 7pm. Please come along for a FREE 10 min lesson on the driving range (but I'm afraid balls will have to paid for). First come first served basis, no need to book, just pitch up!! This is open to everybody, ladies and gentlemen. At the moment I plan to be at Preston GC on Tuesdays and Thursdays. I'll be putting some winter 'MOT GOLF' packages together and more exciting things are in the pipeline.....possibly an overseas golf trip?! To book lessons please call me on 07711 258352. I look forward to being a part of Preston GC and meeting you all. Members and visitors are praising our new mats! Why not visit the range and find out for yourself just how good these are. Flightscope Education - Launch angle optimizer! - What is your swing speed? - What is your Driver launch angle? 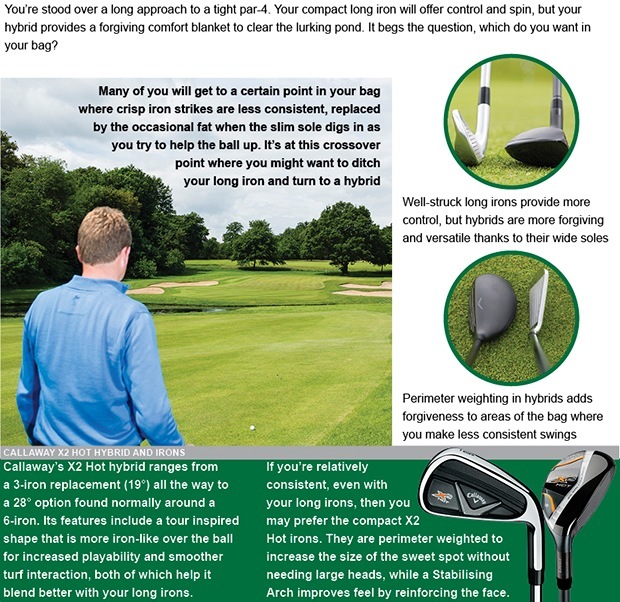 - What is your driver spin rate? - Why should we know these? Well in short, if you swing at 80mph, launch the ball at 9 degrees with a spin rate of 3000rpm your drive will carry around 145 yds. Let's say your swing speed is that number but you would like more yards off the tee, it is logical to you assume that the only way you could gain an increase in yardage is to swing faster? Wrong! At 80mph swing speed what we need to do is increase the launch angle to around 15 degrees and this will see the ball launched higher, spend more time in the air (around 2 secs) and travel further. Most golfers then think, how do I launch a driver at 15degrees? Well it's easy, with soft tip shafts and driver lofts available up to 16 degrees we really can make a difference. Just ask Alan flintoff, now known as 'HANG TIME FLINTY!' If he can do it, so can you, so let's investigate and gain those valuable yards! It will take me 15 mins using Flightscope to determine what would be your ideal launch conditions and I am happy to offer this service FREE of charge so please come and see us and make your appointment. You may have seen that a Blue stake has been applied to the fairways on last 4 holes. Peter continues his dedicated efforts by setting up a winter league for the advanced members of the Junior Development Programme. It is a great way of ensuring continued development in play and competition format. This will run during the winter months and they tee off at 9.30am starting at the 15th. It is unlikely that the early starters on a Saturday will be reach the 15th by 9.30am but I ask members to mindful of these youngsters who will always be accompanied by parents. This week your professional shop is offering you the latest Nike Storm Fit waterproof suit for just £99.99 with a free bucket hat. The suit is available in 4 different colours, red, black, blue and grey! 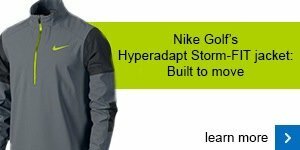 Create warmth where there's only wet and rain on the golf course by wearing this highly functional and stylish Nike Storm-Fit Waterproof Suit. Made from durable polyester, this packable suit is breathable, waterproof and windproof, allowing for ease in movement and total dryness from tee off to finishing. The trousers have deep, warming pockets and soft waistband while the Nike branding at right chest and left leg adds class to already fantastic attire. We have now released all our metals that have been used for demo during 2014. 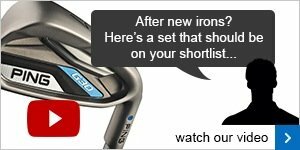 These clubs have only been used in fitting sessions on the range and are in excellent condition so if you want a bargain and like the idea of saving upto 60% on almost current product, pop in to see us and we will be happy to assist you find your bargain! This coming week we will be offering a 40% DISCOUNT off ALL remaining spring summer ladies clothing in store. This includes polo shirts, fleece 1 /4 zips, gilets, caps and visors. Furthermore, we have discounted selected men's polo shirts up to 40%! A great opportunity to gear up ready for next season! Titleist and TaylorMade Drivers & Fairways! We have now reduced our prices on the Titleist 913 woods and all TaylorMade woods in store! This week we received another drop of Galvin Green Autumn Winter product. 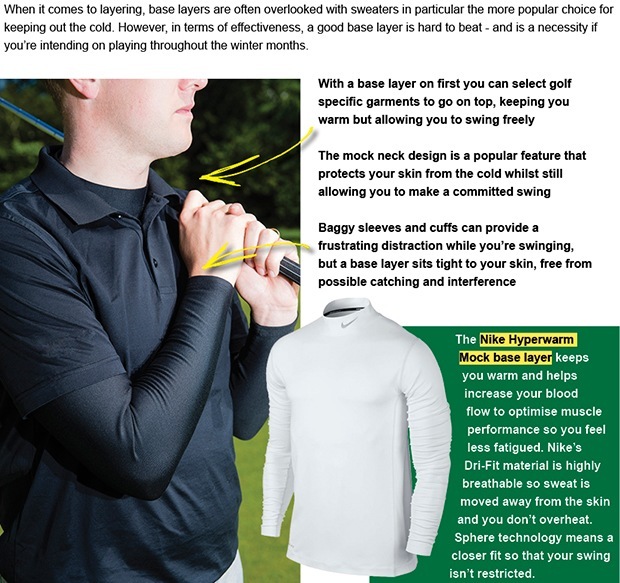 Click here to see the video link relating to the superior performance and importance of multi layering garments from Galvin Green. It is very interesting!